The Transformer Prime has suffered from poor GPS signal ever since it was launched. Asus has even removed the GPS features from its marketing previously after failing to correct the problem with a software update. They might be planning to fix it tough. According to a post on a thread at XDA-Developers, the company might be coming up with a free dongle to rectify the GPS reception issue. This dongle will be available for free to all owners of the Transformer Prime. The proposed dongle is said to arrive in mid-April and will have the same design as the Prime. It will utilize the dock connector on the bottom of the tablet when held in landscape mode. However, it is unclear if the GPS extension kit will completely block the port for the dock connector and users will have to choose between the dock and the GPS dongle. Posts on the thread also indicate that Asus has already sent out test units to some users. While this may not be a perfect fix, it clearly shows that Asus is not going to let its users to stop believing in them. Despite having announced the successor to the Prime, it is still offering fixes and updates to the worlds first quad-core tablet. 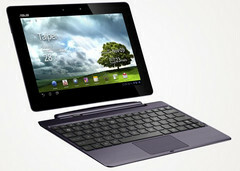 The company is also speculated to be building Google’s Nexus Tablet, a tablet with high specs and a low price tag.